I didn’t always enjoy the fact that my wiring is definitely on the introvert side of the fence. Since our culture tends to value extrovert tendencies and behaviors, we who are quieter, who are more inclined to think before speaking, and who are energized more by alone time than by crowds can often feel marginalized or inferior. Over time, I’ve shaken free of that perspective. I was born with this wiring, and though I’ve become much more outgoing and confident with people (some people now mistake me for an extrovert), I remain a thorough-going introvert. And I love it. Yeah, I said it. I love being an introvert. In a world filled with chatty and superficial crowds exchanging pleasantries and (often) little else of substance, I can sit down with people one-on-one or in intimate groups and really dive deep. To that place where minds and lives are changed. I love that. While others desperately seek their inner fuel by surrounding themselves with others in social settings, I can enjoy alone time to think. In fact, I crave it – I’m energized by a combination of solitude and people time. And in those quieter times of reflection, insights arrive. I love that. My inward-focused mind is always seeking to analyze and make sense of the world; and often, can be harnessed to help others make sense of their world. I love that. I may not be the most glib person in a crowd – certainly not the life of the party – but I can write, and make presentations, and reach many more people that way, than pretending to be chatty Charlie. I love that, too. In a world that often feels a compulsion to consume and consume and consume, introverts take time to digest. Life, for us, is not an endless carousel of coming-from-the-outside sensory stimulation. We regularly gain our strength from within – we’re more self-contained. And I love that. No, the opposite of being extroverted is not being neurotic, as this poorly-conceived article implies. Extroverts have gifts and abilities and strengths. Introverts have gifts and abilities and strengths. And introverts have a lot to contribute to the world. I love being an introvert. If you share that wiring, there’s no cause for shame or a sense of inferiority – we have our fit in this world, too; and it’s a rich place. Embrace who you are. Manage it. And make waves in your own way! 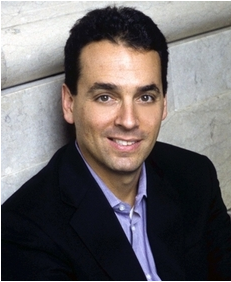 I’ve been reading Daniel Pink‘s latest book, To Sell is Human (Amazon affiliate link), and I like a lot of what he has to say. I found his thesis intriguing that extroverts don’t necessarily have an inherent advantage over introverts in sales success – you can see a summary of his thinking in this Washington Post article (if you don’t have the book). But, a couple of things set off some alarms bells in my head. First, I think his use of the terms “introvert” and “extrovert” are somewhat imprecise. Pink reinforces some of the more behavioral notions of the two orientations (sociable/lively/assertive vs. soft-spoken) – you know those stereotypes about the gregarious extrovert and the retiring introvert. In fact, the essence of introversion is finding one’s energy source from within, while extroverts generally find their energy from other people. 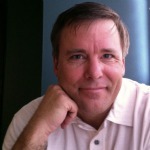 While it is usually true that extroverts may tend to favor being more often in larger groups of people, and introverts typically need more (quiet) alone time, to look at stereotypical extremes and label only those as introverts or extroverts is to miss the point (in fact, there are many introverts who can quite effectively project outgoing behaviors). The ” ___vert” wiring has to do with replenishment of energy; behaviors are somewhat elastic across the spectrum. One of the best treatments of this topic is Susan Cain‘s excellent book Quiet. My sense is that most people lean toward one orientation or the other – there are degrees of introversion and extroversion, but I am ambivalent about the notion of ambiversion as presented by Pink. 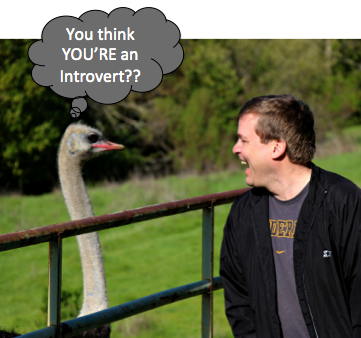 He depicts “ambiverts” as the majority of people on a bell curve, with introverts and extroverts as extremes. I’d argue that there may be very few (if any) true ambiverts – people who draw energy equally from within and without. 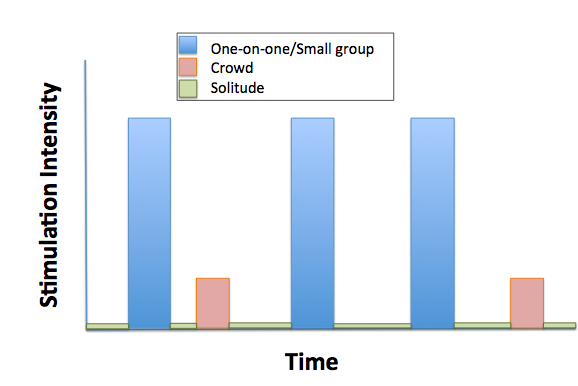 If you think of introversion/extroversion as a linear scale, I theorize that we all natively lean in one direction or the other (according to our internal wiring), even if we have learned and adopted behaviors that are more outgoing or contemplative. See this blog post for a fuller muse on this point. The other point of contention I have with Pink’s methodology is his over-reliance on a single study (by Adam Grant) correlating sales effectiveness with self-reported measures of extroversion. In this study, people at (either) extreme end of the introvert-extrovert scale did not sell as successfully as those in the middle (whom Pink labels as the ambiverts). This result is used to argue against the prevailing notion that extroverted people are (of course!) the most productive sales people. Instead, people who could be somewhat chameleon-ish in the middle were the most successful. It’s an intriguing and suggestive result, but there is a serious limitation to keep in mind – this is a single study (300 people), and it involved only call center representatives. Generalizing from that sample is tenuous – this is, after all, only one type of selling, and it is via phone, not in person. We can safely conclude that extremely extroverted and extremely introverted people were less effective in this particular type of non-face-to-face selling than people who were less introverted/extroverted – but that’s about it. I’m not convinced that the data and extrapolated conclusions are as convincing as they at first appear. To then call a large swath of the population “ambiverts” and imply that they’re going to be just fine at whatever-kind-of-selling may be a bit of a stretch. I’m an introvert, and I have done a lot of selling. I don’t schmooze as naturally as my extroverted brethren, but I practice many outgoing behaviors (that doesn’t make me an ambivert; I’m just an outgoing introvert!). And I’m actually in sympathy with a lot of Pink’s message in this book, especially the notion that, in one form or another, we’re just about all in sales (of some type). I just think that the evidence for some of the conclusions being drawn seems a bit thin on this point. If you’ve been reading To Sell is Human – what’s your take? Do Introverts Have a Pulse? Being wired as an introvert is nothing to be ashamed of. In fact, it has tremendous advantages – we all, as a society, simply need to better understand how introverts (typically) operate with their built-in makeup (for background, see my post last week: How I Manage My Introversion). We may be quieter, but yes, we do have a pulse, thank you very much! There are several helpful ways to better understand how introverts handle the stimulation of human relationships (compared to their more extroverted companions). In fact, one way is to think about relational involvement in terms of pulses. One pattern common to introverts is a need to withdraw for periods of quiet and solitude. While extroverts tend to feed off of a steady stream of human contact, introverts typically are wired with a more frequently-used On-Off switch. When “On” with other people, introverts can appear little different from extroverts – we can be engaging, outgoing, and glad to talk to people (though often tending to favor smaller groupings or one-on-one discussions rather than the milling crowd). But our cup of interaction fills up pretty rapidly – we may have a coffee mug’s worth of interaction capacity, while our extroverted friends have a super-sized Slurpee-cup-capacity to mingle and chat. We introverts then need a break to process and re-charge. 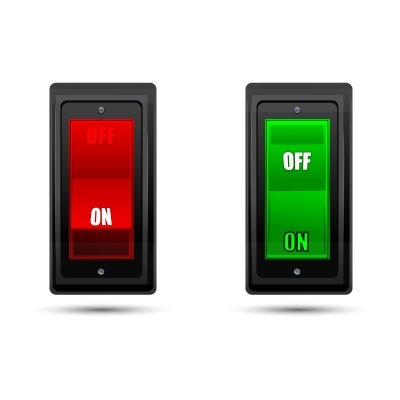 Introverts often prefer to handle stimulation in a pulsed fashion, with more On-Off control, while extroverts are typically energized by higher levels of human contact. Not being an extrovert, I cannot speak with as much certainty, but I suspect the red bars would tend to be significantly higher and wider, while the blue bars might be a bit lower and narrower – and the green “quiet times” probably shorter and less frequent. What do you think? Introverts aren’t being anti-social when they avoid some social settings (or feel the need to spend a shorter time in them). We’re just instinctively avoiding overload, and taking the time to think through what we’ve seen and heard. In my particular case, my mind is constantly analyzing, atomizing, systematizing, categorizing, figuring out alternatives – and I’m learning to give myself that space. It doesn’t stop me from in-depth interactions, pro-actively building an extensive network, selling my services, speaking publicly – but that all has to occur in pulses, or the boat becomes unbalanced and starts to totter. If you tend more toward extroversion, hopefully this will help you understand those of us who seem to need more quiet. If you’re an introvert – what are your strategies for keeping up a healthy pulse? I am an introvert. I’m not ashamed of that fact, nor do I feel somehow inferior to those who are more naturally outgoing. We introverts in the business world often do feel that way, don’t we? Well, that’s bunk! As an introvert, I have some particular strengths that make me effective (and some weaknesses that need to be compensated for). Just like, you know, everyone else! That’s why I welcomed Lisa Petrilli‘s venture to write about how introverts can succeed in business. 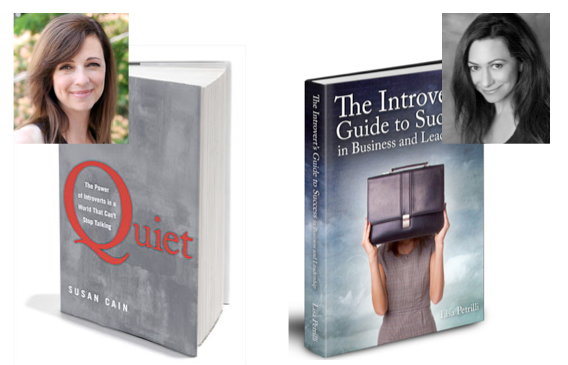 Her just-published eBook, with the title The Introvert’s Guide to Success in Business and Leadership, is a real winner. Early blog reviews and Amazon comments have been most positive. Many people realize that this is an under-discussed issue in our people development efforts, and Lisa provides an excellent format for dialogue around leadership development that accounts for our varying personality types (which equals diverse and valuable strengths). Personally, I struggled for many years in my professional development, trying to force myself to fill roles that were a mismatch for my makeup. It took a long time and lots of experience to realize that my greatest value is as an analyst-strategist – right in the sweet spot of my tendency toward introversion. And, in the book, Lisa tells the story about how the two of us (both introverts) came to know one another much better in a noisy public setting much more tailored to extroverts! 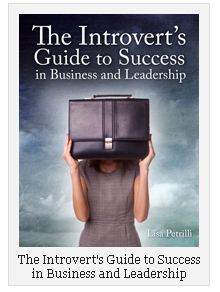 We’ll be celebrating the launch of Lisa’s eBook at LeadershipChat this week (Tuesday night, 8 pm ET on Twitter – use hashtag #LeadershipChat), where effective leadership (introvert-style!) will be the topic of conversation. The book is NOW AVAILABLE for purchase for just $7.99! Use code “Launch” to receive a 30% discount all week long when you DOWNLOAD it at www.TheIntrovertsGuide.net (or, here’s the direct Amazon link). 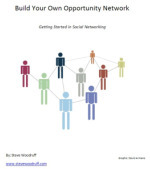 It includes a special bonus section for extroverts on how to successfully lead introverts! Oh, and Lisa? Congratulations. You know how proud I am of you, and what a pleasure it has been to collaborate with you these past 18 months. Thank you for this labor of love. I hope you sell a million of them…!